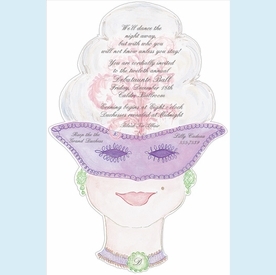 This elegant diecut illustration of a masked woman is perfect for a Mardi Gras themed celebration. 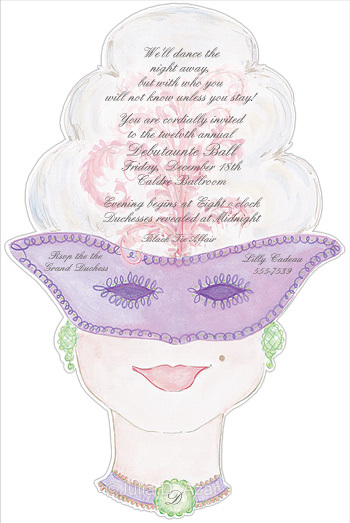 With traditional purple and green coloring, this invite will give your guests a great idea of what to wear! Note how you can add an initial personalization in her choker! Oversized envelope; extra postage may be required. CLOSEOUT...only 9 sets left! SIZE DIMENSIONS: 7.5" x 10.5"